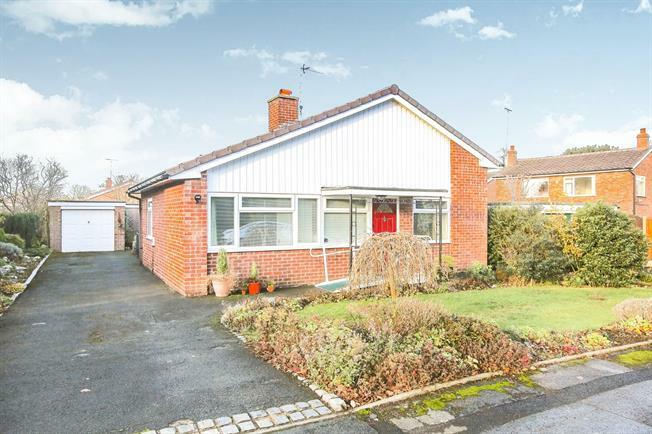 3 Bedroom Detached Bungalow For Sale in Alderley Edge for Guide Price £500,000. A beautifully maintained three double bedroom, two bathroom, detached bungalow within short walking distance of Alderley Edge village centre with lovely gardens to the front and rear, off road parking and a garage. The internal accommodation is well presented throughout and briefly comprises; entrance hall with cloaks storage, open plan living and dining room, conservatory, fully fitted kitchen and utility. In addition there are three double bedrooms, the guest bedroom being ensuite and a family bathroom. Externally, to the front is a driveway, offering ample parking and leading to the garage. The front garden is predominantly laid to lawn with attractive beds and borders. The rear garden offers a good level of privacy, being bordered by mature hedging and fencing. There is a terrace, ideal for outdoor dining and a lawned garden. Rarely do bungalows of this quality and nature come to the open market, therefore early viewing is strongly recommended.